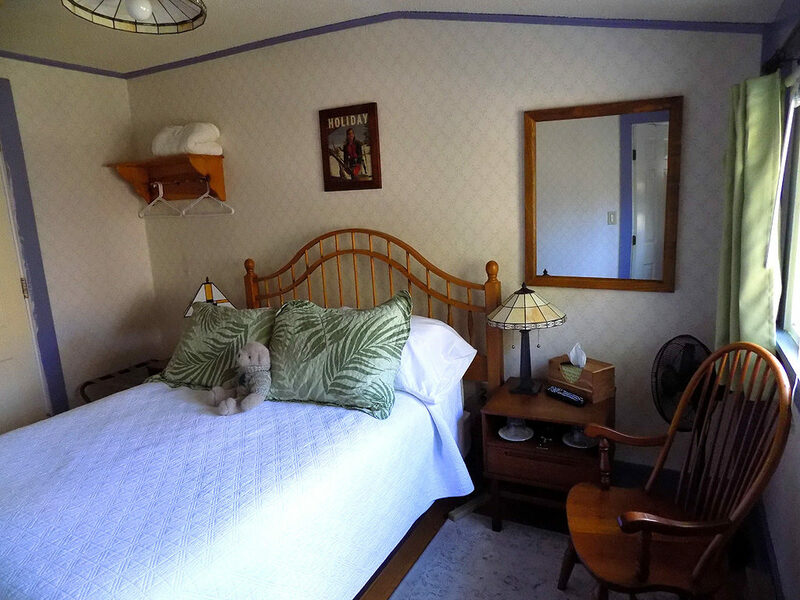 Our coziest room, the Vermont room features a full size bed with a maple headboard. 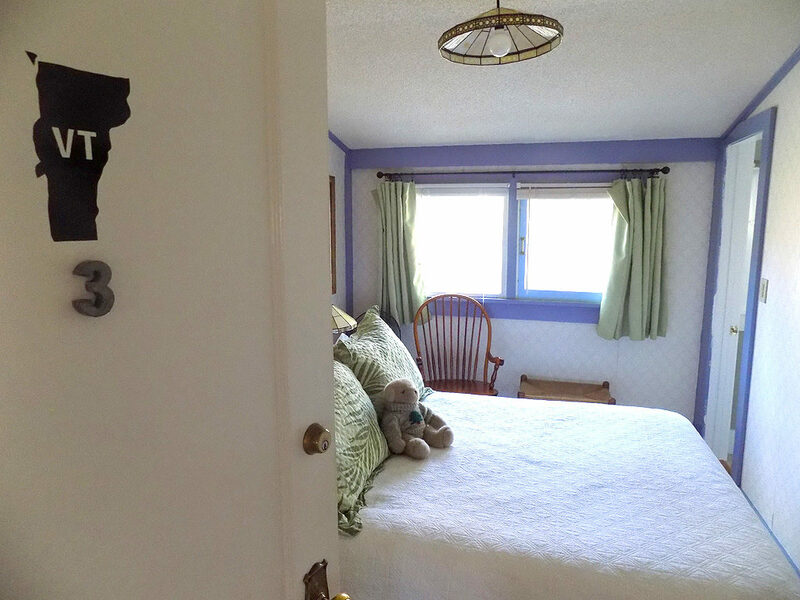 This upstairs room has a private bath with a corner shower. 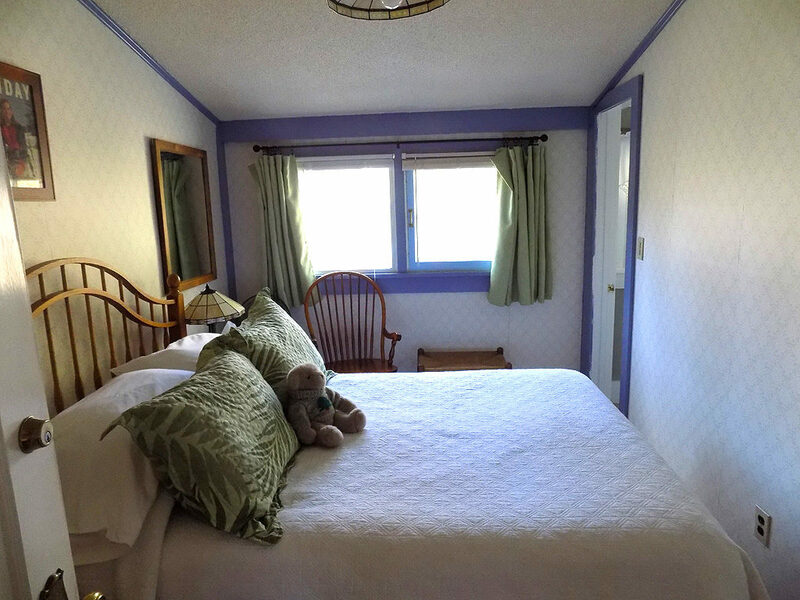 Room dimensions: 8×12 ft, Bathroom dimensions: 7×6 ft. Total space 138 sq.ft.